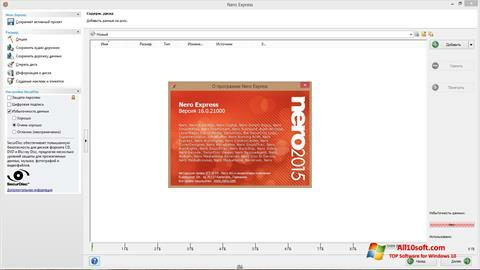 Nero Express for Windows 10 - software for recording data on CDs, including DVD. Allows you to work with multimedia content, offers a minimalist interface and exclusively necessary functions. The product includes several utilities that allow you to track content on a computer, a component for burning Blu-ray discs, connecting and tuning a TV tuner, and analytics of used applications of the Nero kit. You can free download Nero Express official latest version for Windows 10 in English.